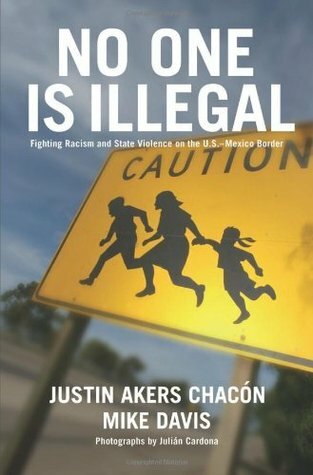 I recently finished reading Justin Akers Chacón’s book No One is Illegal: Fighting Racism and State Violence on the U.S. – Mexico Border. Although the book was published in 2006, I felt like it would be an appropriate read, particularly in today’s culture with the government attempting immigrant bans (which are really just thinly-veiled Muslim bans) and the whole discussion of “the wall.” The book also discussed undocumented immigrants and some of the problems they face, both while traveling here and while here. Well, I was right. This book had A LOT of information to unpack, and so much of it was painfully relevant to today’s society. Rather than give a whole recap of the book – which I think y’all should seek out and read, even if you have to go through interlibrary loan like I did – I’m going to share a few key quotes I plucked out, all from the book and credited to the author. As I said, there’s a lot to unpack in this book, but I felt it was an important read. I can only imagine what an updated version, perhaps published in the next year or so, would include, considering the current political climate of the United States. I had this book on my to-read list for just a few weeks – I had to wait to get my hands on it, as my library didn’t have it but got it through an interlibrary loan with the University at Buffalo, a local collegiate library. I’m glad I read it, and if nothing else, it fuels me and makes me want to fight for immigrant rights, both documented and undocumented, now more than ever.